AceThinker Screen Grabber Pro is one of the best software to take screenshots, edit them, create webcam and screencast videos, and much more. One software for all the screen capturing needs. Gone are the days when we used default Prntscr button to take a screenshot of our desktop screen. Things have been changed in recent years, and many screen capturing tools with various customization options have come into the market. There are two ways you capture your desktop screen; (i) still screenshots and (ii) screencast videos. 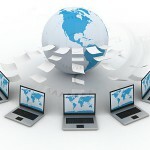 Both have become imperative as far as online publishing is concerned. I am a blogger, and I have to take screenshots while writing how-to guides or some other types of articles. Working with default Prntscr was good, but I was not able to make my screenshots look attractive. Later, I found Skitch, Greenshot, and many other tools that help me make my screenshots look attractive. Also, nowadays audience is more interested in watching videos rather than reading textual content in most cases, so we need a video making software that helps us create webcam videos and screencast videos as well. No doubt, there is an endless list of such tools that are used for taking screenshots and creating screencast videos. However, I recently found a superb software which offers everything at one place be it screencast videos, webcam videos or capturing still screenshots, everything you can do by using one software. Isn’t it cool? I am talking about Screen Grabber Pro developed by Acethinker which meets all your screen capturing requirements just at 29.95 USD. It is well compatible with Windows 10/8.1/7/Vista/XP, and it is available for Mac as well which works fine with Mac OS X 10.6 and above. You can see the screenshot of Acethinker Screen Grabber Pro which looks very simple. It is very easy to use software that you can use it effectively even if you are using it for the first time. As I said earlier in this article that nowadays people prefer How-to videos over How-to textual content, so that bloggers have started creating videos as well to explain the stuff. 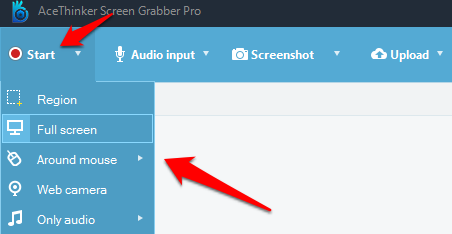 Screen Grabber Pro is one of the finest tools for creating such screencast videos. However, it can record webcam videos too. And, that makes it a robust software for creating videos as people nowadays create how-to videos by combining webcam recording and screen recording. Yes, you might have seen many videos in which the creator first shows himself and talk about the guide and tells the introduction part. After that, the screencast part starts, and at the end again the creator shows himself to say the final words. Since this software has both webcam and screen recording feature, creating such videos using this is easy and great. The software offers tools as well to edit the videos. On the home screen, you will see a “Start” Menu which when you click you see the options as you can see in the above screenshot. Region – It lets you select the area on your desktop screen to record. So that you can just record a particular part of the screen and not the complete page. Look at the above screenshot in which I have selected a specific area for recording the video. You can set width and height using the options if you have some specific dimension requirement for the video otherwise you can drag to resize. Once the area selection is done, click on OK, and the video recording will start in 3 seconds. You will see below pop-up with 3,2,1…. 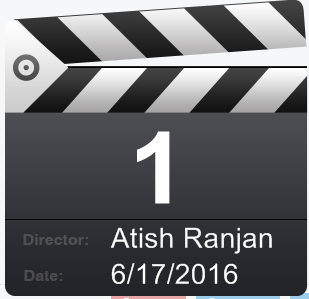 Countdown to start the recording. During the video creation, you can click on stop button to stop the video. Now, you can play the video. Full Screen – Process is all same as above, just the difference is when you select this option, it records the full screen. Web Camera – This option allows you to record a video of yourself. 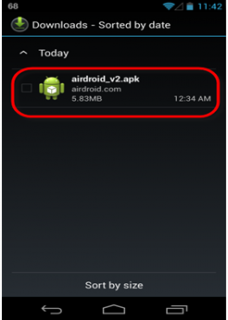 Only Audio – This option lets you record only the audio and not video. 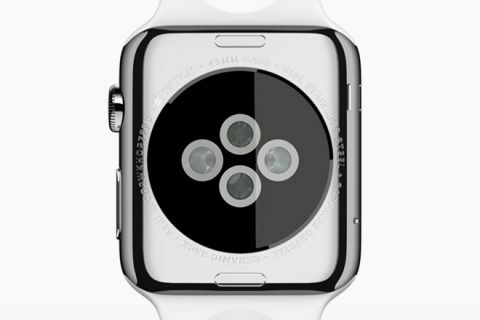 This feature offers you four different settings for audio that is recorded while creating videos. None – No audio will be recorded if you select this option. 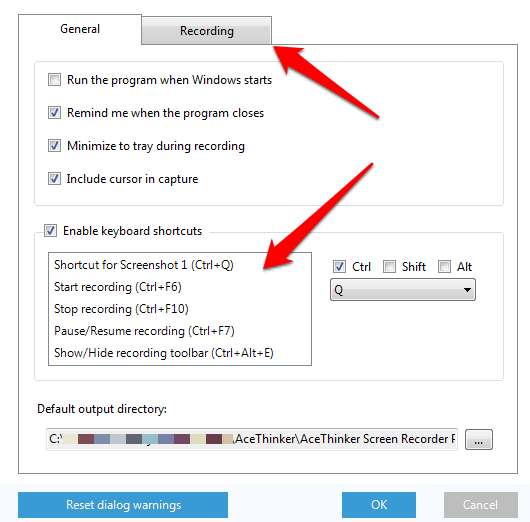 System Sound – This option when selected only records sound that your computer system generates. It doesn’t record anything you speak or outer sound. MicroPhone – This option when selected records sound using microphone which means whatever you speak, or other sound goes in through the microphone is recorded. System Sound and Microphone – This option allows you to record both system and microphone sound. You can select any option as per your requirements. Screenshot option allows you take still screenshot of the screen which can be saved on your computer system. Capture Mouse Cursor – This option when checked enables you to capture the mouse cursor as well. However, in most cases we don’t need to capture the cursor. So, keep it unchecked. Hide me when Screenshot – This feature when checked minimize the Software home UI from the screen. And, to capture screenshots, you just need to click on “Screenshot”, and you will see selection that you can drag as per your requirement. There are tools that you can see at the bottom that enables you to mark the items as required. Other options on the right side are also given for uploading it to the cloud, for social sharing, taking the print, etc. For example, I have done some random marking with the editing tools given there after taking a screenshot which you can see below. With so many options Screen Grabber Pro is the right choice for all of your screenshot requirements. 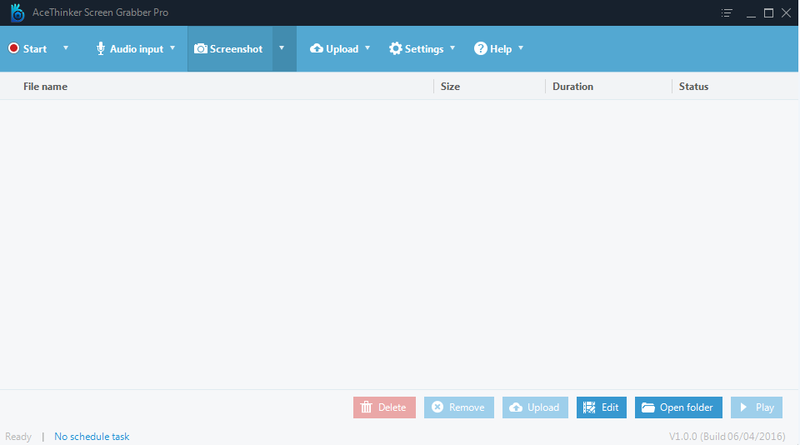 Upload option enables you to upload the screen recorded or captured directly to Youtube or FTP. 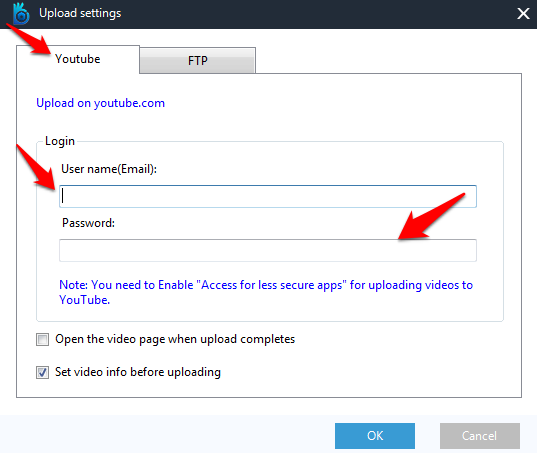 When you select the option, you will be asked to enter Username, Password for YouTube and FTP details for FTP upload. This option is for settings that you can set as per the requirements. When you click on Options, you will see a number of settings that you can use your way. Apart from those, there are many Keyboard Shortcuts listed as well which comes very handy specifically while recording videos. Settings are divided into two tabs namely General and Recording as you can see above. 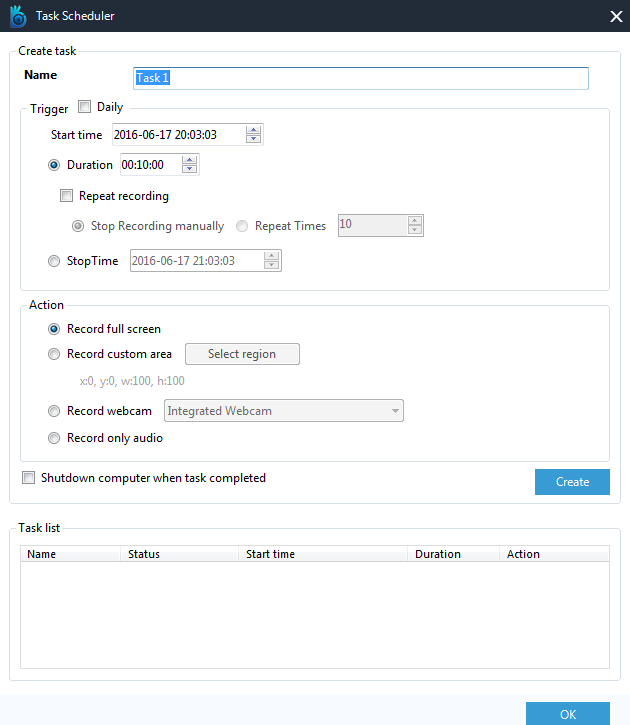 One more feature you will find under Settings is Task Scheduler that enables you to schedule recordings, and it works automatically. Screen capturing software is very important nowadays for everyone who uses a computer. However, it is crucial for bloggers like me who have to take screenshots while creating content. Creating videos is something that they also have to do nowadays to succeed in the blogging industry. So, AceThinker Screen Grabber Pro is the right software everyone should go for because it has so many features as you have read in the review and the cost is quite affordable, i.e. 29.95 USD. I would like to hear your opinion about such screenshot tools, and especially about Screen Grabber Pro. Did you like its features? Share in the comments. I am creating a Video Tutorials with the help of Camtasia Recording Software. But, you have shared Acethinker Screen Grabber Pro. Basically, I have watched your video, your sound and videos result are clearly. Thanks for shared. Thanks for coming by, Asif. This software is excellent at this affordable price. I am loving it. Thanks for your Screen Grabber Pro review. It sounds an excellent and affordable tool and the video facilities look great too. Thanks for affirming with me, Joy. It’s indeed an excellent software to use that too on an affordable price. It sounds appealing as you presented it. I like the fact that you can directly upload what you capture to your FTP or Youtube. Again, being able to select a preferred area to record your audio is also cool. Yes, its great that we can directly upload the media files to FTP or youtube. Hello Atish, What a great review of Acethinker Screen Grabber Pro, it sure looks good and affordable too.. Yes, indeed its affordable and great too at an affordable cost. Wow this tool is amazing, but with the computer now is so hard to even record the screen, it is just so lag. Just try this Louis, and you won’t regret. It’s an excellent tool for all your screen capturing needs. Yes, do try it out, and you will enjoy for sure. You did a wonderful job on reviewing the Screen Grabber Pro. I loved the way you did your video in this post. You made it so easy to follow. Looks like it is more of an all-in-one tool that has so many attributes to it. And…the price is amazing! Thank you so much I will spread the news to my friends. Thank you so much for checking out my review of AceThinker Screen Grabber Pro. The video was just recorded using this software for testing, I thought to include it in my post, and I am glad you liked it. The software is great as it offers so much at the low price. Really an awesome review, I started using it and really has awesome features! 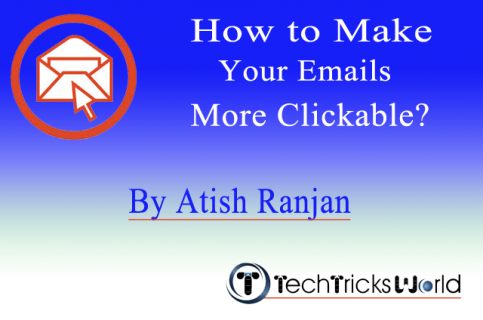 Muhammad Ahmad recently posted…How to write Affiliate Product Reviews – The simplest Guide! Thanks for coming by and I must say this software is awesome. I really enjoyed writing the review of it. Hey, I did visit your blog, and left my comment as well. Very well written review about Ace Thinker Screen Grabber Pro, which is indeed an amazing Screen Recorder solution. 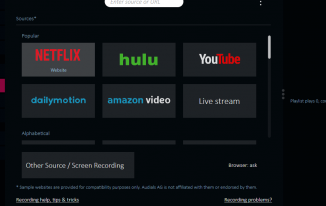 I have been using Open Broadcast software till date as it was free. But the features were pretty hauled. I am now thinking about switching to Acer thinker. Features counts more than the Price! Thanks for sharing this post and I am already using it for with good effect. I love the features it is offering and it is a multi-use tool/software that any blogger or Internet business owner should have in his/her kitty. Thanks again and have a great day ahead!! Nice review of ace thinker software. I think it will power up a blogger’s arsenal and help them increase engagement posting awesome screen records. Thanks for sharing the details review on Ace Thinker. You have mentioned here it’s awesome features. No doubt, it’s excellent software, I was looking for such screen capturing software. Finally, I got here through your awesome review about it. Thanks for the detailed review. I often use video recording tools to record streaming videos. Some of them server the purpose but don’t come with many options on recording quality and output formats. I hope AceThinker Screen Grabber Pro serves those options. Nice review never used product but sounds like something I could use.